The Omega Letter is aimed at those who have already grasped the simplicity of salvation. A lot of what we focus on is what Paul calls the 'strong meat' of Bible doctrine. I have friends who can't seem to 'get' how simple God made salvation. The miss the forest for the trees. Maybe you have friends like that too. They can't grasp the basic fact that salvation is for sinners. They think they have to earn their way by doing good. Love God above yourself and love your neighbor as yourself. Simple. A person cannot have a personal relationship with God apart from Jesus. There is a gap that exists between God the Father and sinful humanity. God is completely holy and cannot tolerate the presence of any sin. But we are all selfish sinners. To redeem us, He had to become ONE of us. To do THAT, He had to physically enter sin's 'quarantine zone' (the earth's atmosphere), conquer sin in THIS world, thereby defeating sin's universal stranglehold on humanity. And then, having qualified as an acceptable Sacrifice, He paid the eternal penalty for sin on our behalf. Jesus paid the penalty prescribed by Adam's sin, just as every human being since Adam, but Jesus was WITHOUT sin. Having been born of the Father into this sin-sick world, He lived the life that God expected of each of us and then paid the penalty for sin that we deserve. He was not under that penalty for Himself, which is why He could pay the price demanded on our behalf. Having defeated the cause of death (sin), He then defeated the penalty of sin (death) by His Resurrection. Nobody who ever sinned, even once, has defeated sin personally, and all remain under sin's penalty of death. But death is in two parts. The physical death, and what the Bible calls the 'second death' eternal separation from God in the Lake of Fire. And so is the judgement. The believer's sins were judged at the Cross, and the penalty for them has already been paid. For those who trust to their own good works, there is a second judgement before the Great White Throne, where they will be judged according to ALL their works, good and bad. There is no balancing scale. One sin earns eternal separation. Our personal sin still earns the wages of physical death. We are spiritually and eternally saved, but the world in which we live remains under the curse. Sin has its consequences on the things which are in it. Jesus sinless Sacrifice paid our eternal debt -- there is nothing left to judge but our rewards. Nothing we could ever do could earn it, because it is a gift, freely offered to all men. Therefore as new creatures, recreated by the Blood of Christ, wearing His righteousness instead of our own, we are able to come before the throne of God blameless and cleansed, reestablishing our relationship with God. It has NOTHING to do with religion. Paul was preaching to the Church at Galatia, where a heresy had crept in that said Christians had to be circumcised like Jews in order to prove they belonged to God. Paul makes it clear that Christians are neither Jews nor Gentiles, but something entirely new. The difficulty in trusting Jesus is rooted in the failure to understand the 'new creature' for what it is. We've discussed this many times in the past, but for the benefit of new members and as review for the rest of us, the Bible teaches that there are four sentient spiritual creations of God. First, God created the angels. Then, He created Adam in His Image and in His Likeness. At Adam's fall, his spiritual state was changed, he became separated from God, and Adam was the father of the spiritually unregenerate Gentiles. Abraham, through faith, fathered the first of another new spiritual creation. Isaac was the first spiritual Jew, the father of Jacob, whose name was changed to Israel. Since then, every person is born either a Jew or a Gentile, from the perspective of their spiritual state of existence. The first three sentient, spiritual creations of God, then, are angels, Jews and Gentile, descended from Adam, but in God's Image, with an eternal spirit. A descendant of Isaac can never become a Gentile. He can denounce Judaism, become a Buddhist, an atheist, or whatever, but in God's eyes (as well as man's) he is still a Jew. A Gentile can become a practicing Jew, but he remains a spiritual Gentile, since his eternal spirit remains estranged from God apart from Christ. Jews and Gentiles are born what they are. Christians are REBORN into a 'new birth' -- a new spiritual creation of God. The Bible says the old creature is dead. Only God can raise the dead, not an act of man. God would be forced to raise the dead spiritual Gentile, and undo His new spiritual creation based, not just on an act of man, but on a sinful act. If sin can force God to undo His own creation, then where is the victory? The Bible says to repent (literally, change your mind), realize your sin will take you to hell, and that there is nothing you can do about it except to trust Jesus' promise that by trusting Him for your salvation as the Lord of your life, you are now a new creation of God. It's so simple. So simple, in fact, that there are millions upon millions who just can't get it. Paul spoke of being "wise in your own conceits" (Romans 12:16) not the least of which is the belief that our works contribute to our salvation. JESUS WILL SET US FREE! Have you sat down and thought about why it is , that what you believe and why you believe it? The Bible is full of the reasons for Christianity, and its teachings...But if you are thinking about it right now, what is the one thing that stands out as unique about the Bible to you? What is it about our belief in Jesus Christ that makes it different than any religion found on this earth? There are numerous answers to those questions. Some will find different answers that are just as valid concerning with being a Christian and a follower of Jesus Christ as another. But what makes it (in my mind) to stand out independent of all other religions on earth, it's an all or nothing perspective on Who and what we believe in. Just think of all the many different details that surround our belief system in Jesus Christ, as the Messiah, and our Lord and Savior...if any of those details that surround the life and ministry of our Lord Jesus are false, then the whole Gospel message just falls apart. If the Bible did not tell the story exactly as it happened, how Jesus lived, what He accomplished in His life, what He did to save us from our sins, and to rise from the grave on the third day, according to the time line of facts that the bible lays out, then we are a people that are most certainly misled and the Bible account of the most important Man/God that ever lived, collapses in on itself. 12 “Now if Christ be preached that he rose from the dead, how say some among you that there is no resurrection of the dead? There are many secular so-called Christian scholars who deny that the Resurrection was an actual event, but instead take a contemporary view of Greek philosophy which believes that the soul is immortal, but not the body. Which if you think about it, why are they even called Christian, or followers of Christ, when they deny the Biblical resurrection of Christ? They are actually Gnostics who deny Jesus is the risen Christ bodily and glorified. But the bible tells us that one day, the spirit of man will be reunited with a glorified raised physical body for those raised belonging to Christ, at His appearing. It has and will come in stages....Jesus the first fruits of those who are born of the dead, then those who are raised to new life, at the catching away of the church at the appearing of our Lord. The Bible calls it by definition, 'harpazo” which literally means be “taken by force”. Some call it the rapture. Then the next stage is those who are raised to life at the end of the Tribulation, who are the Tribulation saints who died in Christ as martyrs , and this is the first resurrection. 6Blessed and holy is he that hath part in the first resurrection: on such the second death hath no power, but they shall be priests of God and of Christ, and shall reign with him a thousand years.” (Revelation 20:5-6). Christian doctrines mandates that all men will be resurrected, some in the “first Resurrection” from Jesus being raised, till the Tribulation saints are raised, this encompasses the first resurrection..But there is one final resurrection at the Great White Throne judgment. It will be those NOT found in Jesus Christ and they will be damned to an eternal punishment in the Lake of Fire where Satan, the Anti-Christ, and the false prophet end up, where there is weeping and gnashing of teeth. In continuing our investigation that I started last sermon, was the “Apostles Preaching a Fraud”, let us look even more closely into that aspect of our faith. The New Testament story is based entirely on eyewitness testimony. The Apostles wrote what they saw. So if they did not witness an actual, bodily Resurrected Christ and yet claimed they did, then none of the rest of their testimony is reliable. THE APOSTLES PREACHED A RISEN CHRIST. Yet everyone of them (save John the Beloved) chose to die a martyr's death rather than recant their eye witness testimony. They recanted not one word of what they saw and heard. To further ram home the obvious point, if they knew their explantion was false, and their witness was a lie, why would they choose to be killed for a lie? Doesn't make sense does it? Men throughout history have given up their lives for what they thought was true, which turned out to be false. Men die for an unworthy cause, which they believed was a true and a noble cause, but turns out was not true at all. But I know of no historical case, where a person would willingly die for something they knew to be FALSE. Reason being, the sympathetic nervous system has a fight or flight safety mechanism to preserve life at all cost. Courage makes you charge into danger for a just cause, knowing it could cost you your life, but no man in their right man charges into danger, when they know the cause is anything but truth. To argue that the Gospel is not true means arguing that ALL the Apostles faced painful, torturous deaths that they could have avoided by simply recanting. The skeptic denies the apostles eye witness testimony that was written down as a record for their belief in the Only Begotten Son of God, but fail to give an explanation for their skepticism for why would the apostles give up their way of life, for a life of misery, deprivation, heart-ache and pain at the hand of a pagan government, cultimating in a torturous death just to spread a myth? As we discovered last time, why would any man, on any level, being a reasonable, sane individual make up a story that ruined their lives, costing them their family and friends and trading it for a life of persecution ending with a miserable death as a criminal of the state? For what? So their names would be known 2000 years later and they would be famous?? Now does that sound reasonable to any person of logical deduction reasoning? Why is it that nobody denies the accuracy of some of the Greek philosophers writings, such as Plato, Socrates, or Homer? Or Suetonus, or Flavius Josephus (save the part where he actually refers to Jesus as a real historical figure)? Before the discovery of the Dead Sea Scrolls our earliest Hebrew copy of the Old Testament was the Masoretic text dating around 800 A.D. The Dead Sea Scrolls date around the time of Jesus copied by the Qumran community, a Jewish sect living around the Dead Sea. But there are other text that confirm the validity of our faith. We also have the Septuagint -- a Greek translation of the Old Testament dating to the second century B.C. In all, there are more than 24,000 ancient manuscripts against which to compare our modern Bible. Now that is a huge body of work and PROOF! If you compare the amount of evidence for the existence of Jesus and His crucifixion and subsequent resurrection, the evidence is astounding the amount of material available to prove the whole of Christianity. When compared to other historical writings, such as Caesar's "Gallic Wars" (10 Greek manuscripts, the earliest 950 years after the original), the "Annals" of Tacitus (2 manuscripts, the earliest 950 years after the original), Livy (20 manuscripts, the earliest 350 years after the original), and Plato (7 manuscripts). The New Testament manuscripts agree in 99.5% of the text, compared to 95% of say the Iliad. Most discrepancies of the New Testament are in spelling and word order. A few words have been added, but the minor changes does not change the doctrinal significance of the whole of the Gospel message. Skeptics, liberals, atheist, and cults of false religions baseless claims that the Bible has been tampered with have been proven completely false by extensive, historical manuscript evidence. We who are pre-Tribulation rapture believers would be completely refuted, if there is no bodily resurrection of Jesus. If the Resurrection is not a completely historical event then the tragedy is only compounded. (Not only are you putting your hopes in a false promise of redemption, but you are still dead in your sins). .If there is no resurrection, there is no Comforter in the Holy Spirit that indwells you as an earnest deposit in waiting your future glorification. 15 “Yea, and we are found false witnesses of God; because we have testified of God that he raised up Christ: whom he raised not up, if so be that the dead rise not. But Jesus gave us additional revelation, a new 'mystery' for the Church, telling us exactly what happens when we die. There is no 'soul sleep' as those who read the OT prophets supposed. But as Christian people, when a loved one dies, we are heartbroken...why is that? Even when we know that their race is over, and they have received exactly what we want to receive. We miss them, because we are deprived, for a little while, of their companionship. Amazingly, every one wants to go to heaven, but nobody wants to die. But some erroneously believe they are only sleeping. On this earth, in this life, we have a sure and lasting promise of a time that is coming when Jesus will ascend from heaven with the voice of an archangel and the Trump of God and “the Son will set us free”. 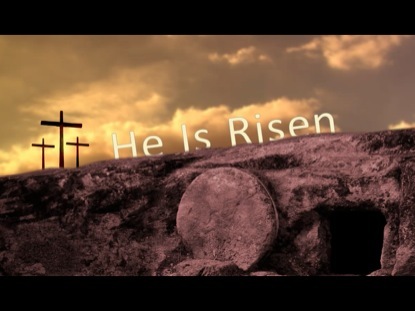 Jesus has been resurrected, and history proves that many speak of a historical Jesus, who really lived on this earth...We have eye witness testimony of our Risen Lord by thousands of people who spoke with Him, touched Him, and ate with Him, after His resurrection. We have historians that give proof of the life and death of Jesus Christ, and we have the eye witness testimony of His Apostles who went to their death for One they lived and died for. Logic tells us, that they had to be telling the truth, as no one dies for a lie...the evidence is overwhelming. And for us, living in the end of the Age of Grace, we have an even greater promise that will possibly be fulfilled in my lifetime. Jesus promised that from the blooming of the fig tree which is Israel, that a generation who sees this happen will see the return of Jesus Christ. A generation is 70 years, and 80 years by strength. Anyone can do a quick math problem and add each number to 1948....it shows how close we could be. .Many Christians are watching the heavens looking for that blessed Hope to return to take His church out of this world. If you have followed any of my messages, you know I propose that it MAY happen on the next Feast Day to be fulfilled, the Feast of Trumpets...now no one knows which one, or which day, as there are two day of that particular feast day, as God has fulfilled each one on the very day of its observance by Ancient Israel....I will be looking to the heavens this fall, listening for a trumpet blast....I pray it is coming soon.....but we don't know the year...but we watch and pray. As anyone knows, we just elected as POTUS....the last TRUMP...was God sending us a message? I don't make any predictions, but I found it interesting. But assuredly, the signs of His soon return are all around us....I believe that when the time of the Lord's return is close, God may just give us the same revelation He gave Noah before the flood...God told Noah, after 120 years of preaching a coming flood, that in 7 days, the rains would begin....will God give us a revelation of His Son's soon return, by bringing a man into the POTUS with the same last name, as the last “TRUMP”? We don't know, and again, I make no predictions..I just hope and pray it is so...but when it happens will you be found rising to meet him in the air? Because it is going to happen, maybe sooner than anyone thinks. If not, you will be missing the greatest event in our history, next the Lord's resurrection. Better get ready for the time could come without any warning...How will you get ready? 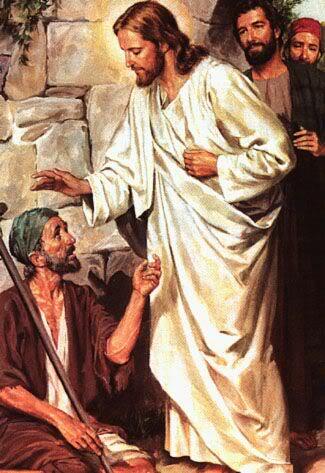 Jesus will surprise those who are not looking for Him...it will be as a thief in the night. 1 “But of the times and the seasons, brethren, ye have no need that I write unto you. "When I say unto the wicked, O wicked man, thou shalt surely die; if thou dost not speak to warn the wicked from his way, that wicked man shall die in his iniquity; but his blood will I require at thine hand." (Ezekiel 33:8). So my friend, consider this a warning delivered in love, that the hour is close and very soon, our Lord will ascend from heaven, and ultimately..JESUS WILL SET US FREE. How about you? This is Pastor Mike Taylor, praying you are ready at the trumpet sound. If you need prayer, counseling, or just a friendly ear. Email me at realteam1999@sbcglobal.net, , God bless you all.